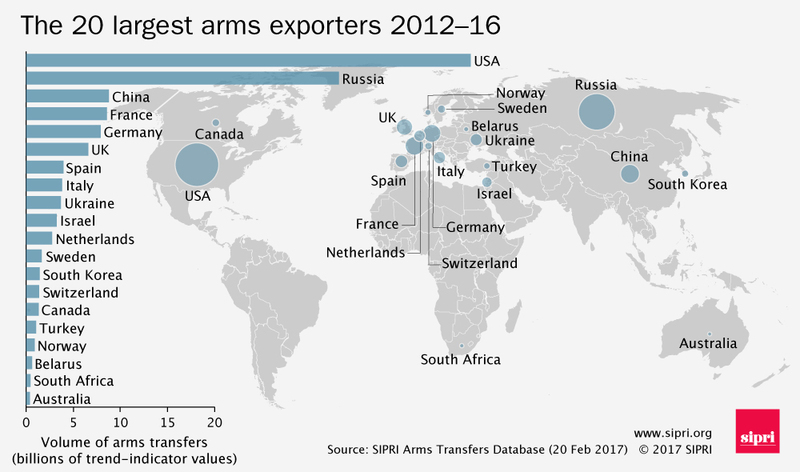 [I believe half the world’s arms are produced in the USA. But check out Russia and China, especially China, because China is a Jewish superpower. The Jews are working with all 3. The USA has gone on a massive, aggressive spree to dominate and DESTROY the military potential of countries like South Africa, Germany and Japan. The Americans for example went out of their way to destroy the South African Rooivalk attack helicopter which was more efficient than the American Apache. Germany is a power to be reckoned with and I’m glad to see that the French, still operating with a memory of Napoleon have remained an aggressive white state. 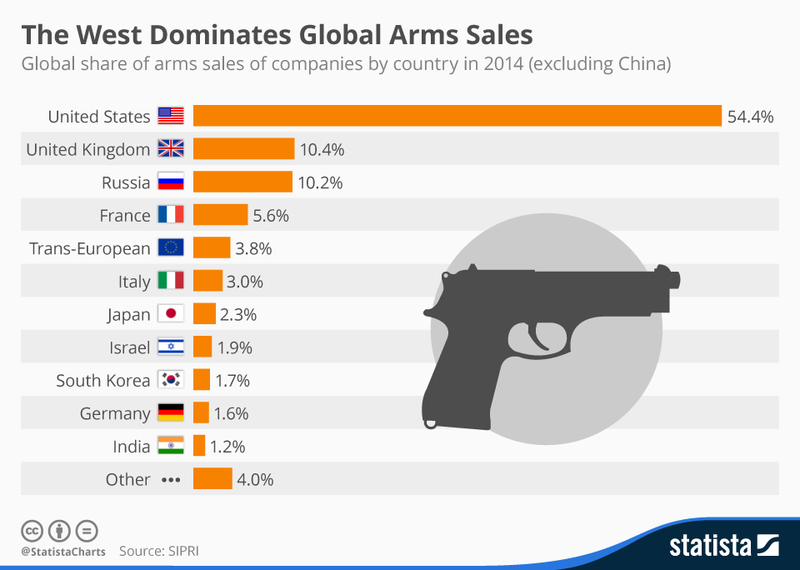 Look at the list of countries producing arms and you’ll see that whites dominate the planet. BUT WHY ARE WE WHITES NOT MAKING WEAPONS FOR OURSELVES SO THAT WE CAN SURVIVE AND EXPAND AS A RACE? WHY ARE WE SELLING WEPAONS TO EVERYONE ELSE? ← Lady Michele Renouf Detained for Five Hours & Investigated under Jewish Germany’s stupid Holocaust Laws! Chart: Intense (Jewish?) efforts to smash Bitcoin & Cryptocurrencies using MASSIVE amounts of money!